When it comes to protecting your business and/ or commercial interests we can give you clear, practical and positive advice. Whether you are a company, partnership, sole trade, charity or other unincorporated body. This could be a financial dispute regarding payment for services rendered or goods received. Disputes between Landlords and Tenants including evictions, debt recovery of both large and small and disputed debts. Or it could involve the provision of professional services such as those from an accountant, surveyor or solicitor. 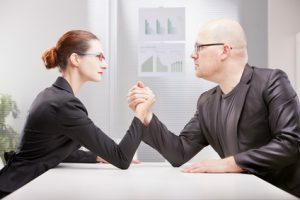 We have years of practical experience in litigation matters but also understand that the best way to resolve disputes is not always necessarily through the issuing of Court proceedings. We are here to provide clear, honest and straightforward advice. We can also guide you through the whole legal process giving clear advice in relation to costs and procedures and simple advice. The aim being to resolve any dispute in the most efficient, practical and cost effective way possible, with the best commercial outcome possible. For further information please contact David Walters at our Ilkley office on 01943 605711. Or Simon Berger at our Rothwell office on 0113 282 7988.